::	Some LOTR bookmarks have been released, one of Frodo (Elijah), Gimli, Legolas, the hobbits, Gandalf, Boromir, Orcs, Arwen, and Aragorn. ::	It is rumoured that Elijah's next movie "Ash Wednesday" will premiere on Februry 13th 2002. So watch out for that. ::	FantasyPlanet has some scans from a LOTR booklet which look pretty good and it's in english :). But i think they originally came from TORN. You can see them at their site, or click here: 1, 2, 3, 4, 5, 6, 7, 8, 9, 10, 11, 12, 13, 14, 15, 16, 17, 18 (hehe, there's heaps) Thank you so much to FantasyPlanet.cz for these! ::	TORN has released a picture of the elvish tatoo that Elijah and all the rest of the Fellowship got!! And Sean Astin models it here, So we finally know what it looks like! 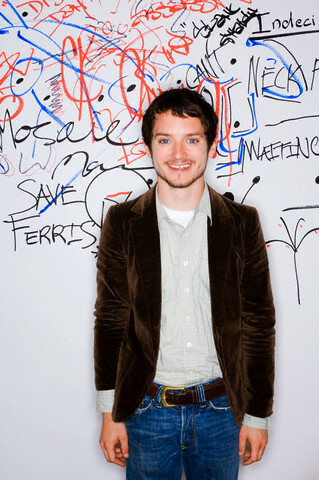 ::	Sharon from our club has a really good webshots account with some new pictures of Frodo: 1, 2, 3 Thanks Sharon! ::	A collection of Lord of the Rings movies including the Cannes Party which features the hobbits singing! A must see!! ::	The photo spread from "The Face" - he looks really good in these! 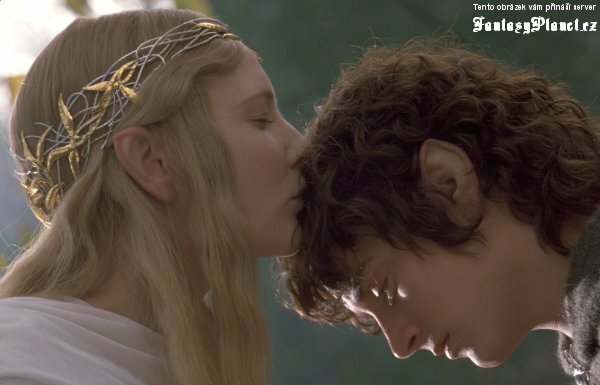 ::	I'll be adding some more galleries to the pictures section, including heaps of Frodo ones, as soon as i have the time. ::	Hey everyone, just to let you know, geocities keeps on sending me e-mails saying that heaps of people are coming to my site - which is good - but they have to close down my site for certain times during the day, cause too many people are on the site at once. So if you come to a page and it says something about Transfer Status, just come back later, or go check out a different page. I'm hoping to get this fixed soon though. Thanks. 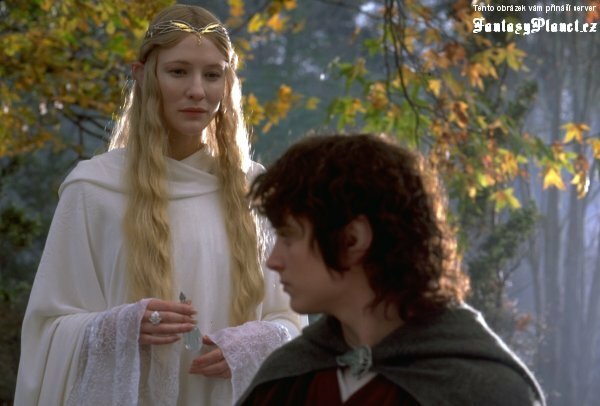 ::	You can also read heaps of LOTR articles from the Sunday Times including some interviews with Elijah Wood. ::	Lots of news today! 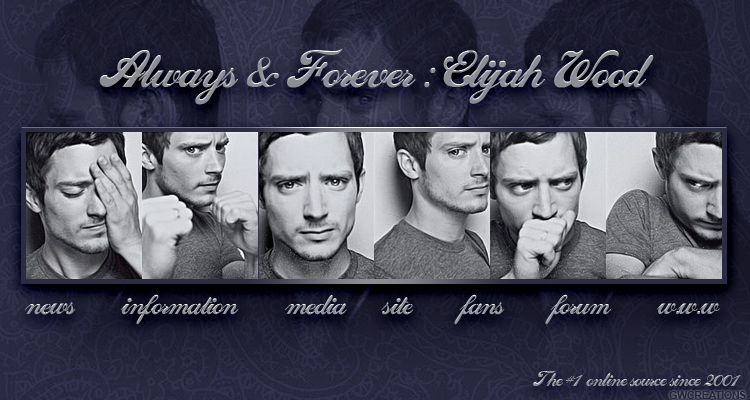 :) First of all, there is a new Elijah Wood site made by Lisa called Elijah Online it's on the links page or you can go directly to Elijah Online. Check it out - it's well worth it, it's only new but it's going to be big! 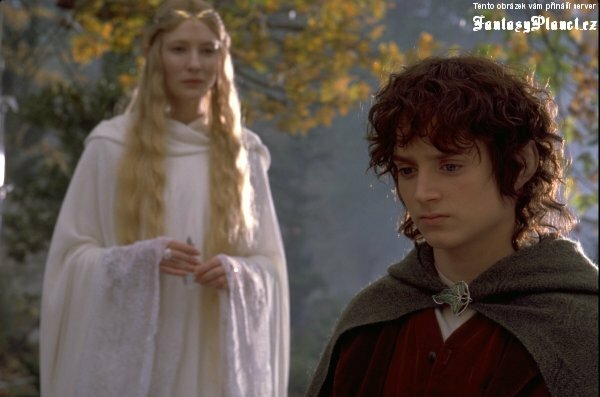 ::	A competition where you can win a trip to New Zealand for the premiere of LOTR! You might as well enter - what have u got to lose? It's at the hot30 website. Thanks Christina! ::	A very very cool photo spread featuring NEW pictures of Elijah Wood from MAXIME ONLINE, simply click on Hobbit Forming and it'll come up in a new window. Elijah looks so good in these! ::	Heaps of new pictures from Fantasyplanet.cz, so check them out. 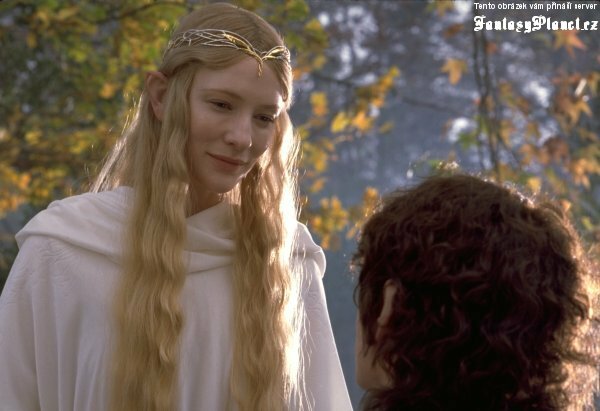 ::	A detailed look at the Lord of The Rings movie - this takes you through virtually every scene in the movie. This includes MAJOR SPOILERS so don't look unless you are really that desperate to find out. Check it out here. But don't say i didn't warn u!